Soil fertilisers are not generally the topic of dinner conversation, however they have more to do with your dinner than you may think. One ASX-listed company is set to lead the way for the supply of fertiliser into the Asia Pacific market and help put food on the table of millions of people. 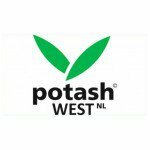 Potash West (ASX:PWN) is on the verge of producing and supplying single superphosphate (SSP) – a crucial ingredient in fertiliser that is critical for Australian farmers as they look to raise beef and sheep herds to meet the food demands of Asia. It is in fact a very good time to be in the fertiliser market. And Australian farmers are turning to producing more soil intensive crops as agribusiness increases – a sector with one of the strongest forecast growth rates in the country. PWN is readying itself to capitalise on these market changes as farmers look to potential suppliers of their all-important fertiliser ingredients. Now, PWN is a speculative stock and there is no guarantee of success here – so please do your own research before making a decision to invest. PWN’s ambition is to become a boutique fertiliser supplier via the production of 400,000tpa of single superphosphate and become one of the Australia’s most dominant SSP suppliers.